TheRumLab.com is proud to celebrate the 3rd MidWest Rum Festival at Logan Square Auditorium – Chicago, Illinois. The USA is considered one of the most important countries in the entire rum industry. Our team are the producers of (1) Taste of Rum Puerto Rico official national rum fest, (2) MidWest Rum Festival, (3) California Rum Festival and (4) New York Rum buy adderall near me Fest. All events attract hundreds of people from trade, rum aficionados, tourists and locals. The event is divided in two sessions. (1) Spirit Industry (2) Rum Aficionado Grand Tasting “General Admission”. The Spirit Industry Session consists of a 1 hour program (12-1pm) offering industry professionals the opportunity to: (1) network with brand representatives, (2) attend training seminars, (3) taste a wide variety of rums (4) mingle with industry colleagues. The Rum Aficionado Grand Tasting “General Admission” Session (1:30 – 5:30pm) consists of a 4 hour program offering the attendees the opportunity to: (1) taste new rums (2) attend brand seminars (3) enjoy pleasant music, (4) view mixology/flair show. Cover Charge includes*: (a) 2 oz. tasting snifter glass (b) tasting punch card that can be redeemed for spirits (c) each ticket is equivalent to .25oz pouring of neat rum or 1.5 oz of a single cocktail. (d) complimentary snacks / The Spirit Industry Session will run differently. 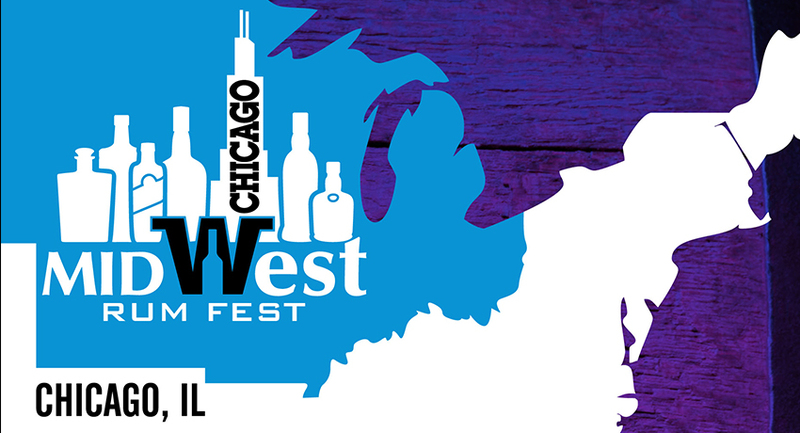 Please contact your Midwest Rum Fest representative for more details.